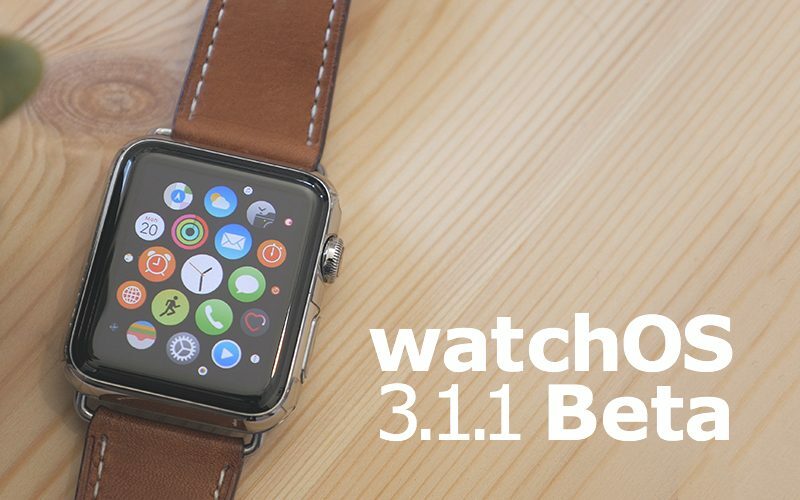 Apple today seeded the fourth beta of an upcoming watchOS 3.1.1 update to developers for testing purposes, two weeks after seeding the third watchOS 3.1.1 beta and a month after releasing watchOS 3.1, the first update to the watchOS 3 operating system. watchOS 3.1.1 can be downloaded through the dedicated Apple Watch app on the iPhone by going to General --> Software Update. To install the update, the Apple Watch must have 50 percent battery, it must be placed on the charger, and it must be in range of the iPhone. watchOS 3.1.1 requires an iPhone running iOS 10 to install. As a minor 3.1.x update, watchOS 3.1.1 seems to focus on under-the-hood bug fixes and performance improvements, with no outward-facing changes discovered in the first three watchOS 3.1.1 betas. We'll update this post should any new features be discovered in the fourth watchOS 3.1.1 beta. watchOS 3 completely overhauls the interface on the Apple Watch, introducing a dedicated app dock, instant launch apps, new watch faces, and new complication options. There are new Activity sharing features, a "Breathe" app guides users through deep breathing sessions to cut down on stress, and an SOS feature can automatically call emergency service. Apple today seeded the second beta of an upcoming watchOS 3.1.1 update to developers for testing purposes, one week after seeding the first watchOS 3.1.1 beta and two weeks after releasing watchOS 3.1, the first update to the watchOS 3 operating system. watchOS 3.1.1 can be downloaded through the dedicated Apple Watch app on the iPhone by going to General --> Software Update. To install the update, the Apple Watch must have 50 percent battery, it must be placed on the charger, and it must be in range of the iPhone. watchOS 3.1 requires an iPhone running iOS 10 to install. As a minor 3.1.x update, watchOS 3.1.1 appears to focus on under-the-hood bug fixes and performance improvements, with no outward-facing changes discovered in the first watchOS 3.1.1 beta. We'll update this post should any new features be discovered in the second watchOS 3.1.1 beta. Kohl's will begin selling the Apple Watch at 400 of its 1,100 stores across the United States on November 15 as a way to boost its activewear business (via Fortune). Apple's partnership with the retail chain is said to help the Cupertino company reach into areas of the country that don't have Apple Stores or official Apple resellers with Apple Watches, as well as "reach a more modest-income shopper and a wider-ranging clientele." In total, Kohl's locations will stock 10 different Apple Watch models, but the company didn't go into specifics about which. In the retailer's Black Friday ad, the Apple Watch Series 2 in Space Gray with Black Sport band and Series 1 in Rose Gold with Pink Sand Sport Band are both advertised. 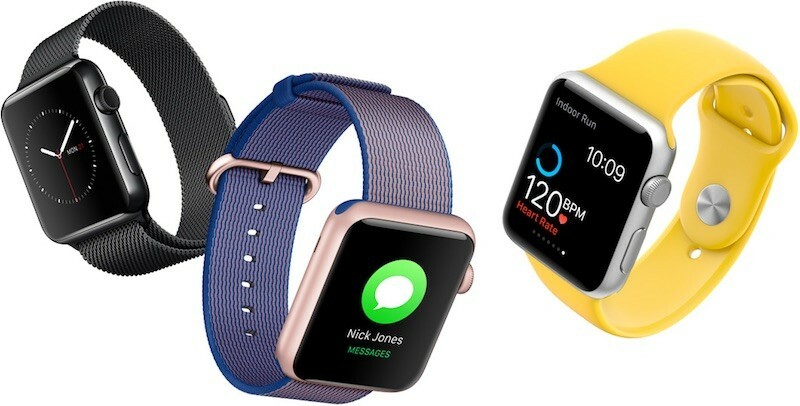 Within the store itself, the Apple Watches will be displayed on stands that measure four feet tall, and the Kohl's staff will be educated on the devices to help customers in purchasing an Apple Watch, which Kohl's sees less like an electronic device and more "as an active and wellness device." “We’re not launching it as an electronics partner,” Michelle Gass, Kohl’s chief merchandising and customer officer, told Fortune in an exclusive interview at the retailer’s design center in New York City. “We were positioning this as an active and wellness device.”On Black Friday, customers will be able to receive Kohl's Cash when purchasing an Apple Watch: $105 for a Series 2 and $75 for a Series 1. The retailer hopes that its introduction of the Apple Watch goes over as well as its profits for selling FitBit devices, which is now "a $100-million-a-year business" for Kohl's. Apple has today released watchOS 3.1 to the public, the newest operating system release for Apple Watch. watchOS 3.0 introduced many new features for the wearable, but sadly watchOS 3.1 is a much more subdued affair. watchOS 3.1 includes some small changes for Messages — you can now replay bubble and screen effects — as well as several issues related to Timer, Activity and Force Touch. The full release notes are included below. Anecdotally, watchOS 3.1 includes some noticeable improvements to battery life as well as the usual slew of bug fixes. The release includes a critical fix for Apple Watch Series 2 owners that may have prevented the watch from charging. The update is available for all Apple Watch Series 2, Apple Watch Series 1 and first-generation Apple Watch models. Apple has also released iOS 10.1 for iPhone, iPad and iPod touch today. To update Apple Watch, visit Software Update in the Watch app on your paired iPhone. The Watch requires 50% battery and must be connected to power to complete the update. A small update for tvOS and macOS 10.12.1 is also available now, ahead of Apple’s media event on Thursday where it is expected to unveil a new range of Mac laptops. New option to replay bubble and full screen effects in Messages. Messages effect can play with Reduce Motion enabled. Fixes an issue that could pause the notification for Timer complete to be delivered twice. Resolves an issue that could prevent Apple Watch Series 2 from fully charging. Resoles an issue where Activity rings may disappear from the watch face. Description: A validation issue was addressed through improved input sanitization.